NBA Live 2019 is Live! Writing knows no boundaries. 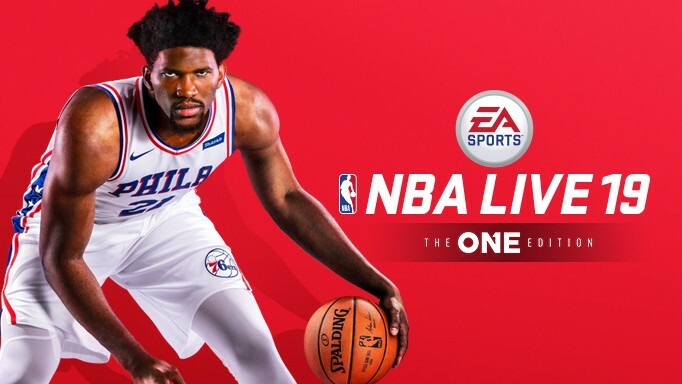 Today, my writing appears in EA’s latest installment of the NBA franchise with the launch of NBA Live 2019! I wrote scripts as well as interactive text dialog, along with C.J. Kershner, another fantastic writer. I was super excited to work with such a talented team of devs on my first pure sports game! Available for XB1 and PS4, you can buy it right now. Check it out. Play. Become the One. NBA LIVE 19 redefines the way you play. With Real Player Motion and 1v1 Everywhere, a head-to-head gameplay feature, you’ll have unprecedented levels of control on every possession. Pursue basketball glory with the freedom to create your path in The League and The Streets, and chart your own hoops journey with the return of THE ONE. My exploits in The One were wrapped with a fictitious social media presentation that’s the best I’ve seen since sports video games started faking tweets about five years ago. Why do we like playing like it’s the end of the world? With so many games set when society crumbles and the worst side of humanity (or inhumanity) takes over, what is it that draws us back to games set around an apocalypse? Join writers and designers from games like State of Decay, Horizon Zero Dawn, BioShock and Shrouded Isle as we talk about what goes into a good apocalyptic or post-apocalyptic game, why we like making them, and what new dark and upsetting places we want to take players next.